How do you take responsibility for your existence and live fully your unique human potential? This is the fundamental question which existential therapy addresses. For many of my clients, this question is at the heart of the personal issues that concern them. That is, at a deep level many of their issues result from not taking their lives with a decisive seriousness. Their lives are real, and they alone are responsible for their fulfillment or lack of fulfillment. If my clients are to be successful in resolving their concerns, they will grapple with mastering capacities for autonomy, choice, will, action, freedom, and personal responsibility. Also, they will encounter the inescapable pains of human existence such as their aloneness, relatedness, freedom, creating meaning, and mortality. For example, each of us is unique, and each person is alone responsible for his/her life. Life calls us to bring forth our uniqueness, to be ourselves fully. Also, we have personal freedom, but lack any meaning with which to guide our freedom other than the meaning we create for ourselves. We cannot escape our inner isolation. And, death awaits us all. These conditions circumscribe every human life, yet few persons have come to terms with them all. While my therapy practice affirms the spiritual dimension of life, whether or not my clients do does not negate the necessity of their coming to terms with the human condition. Moreover spiritual realization which fails to integrate the existential is incomplete in my opinion. As I work in my NE Portland practice with my clients from an existential therapy perspective, I encourage them to empower themselves with the remarkable aliveness that comes from embracing these following existential condition. When, for example, we take responsibility for our lives, we can then apply our agency to creating the life that we choose. Similarly, when we come to terms with our fleeting mortality, daily life assumes a more urgent aliveness. Freedom – Except for the social conventions which you may or may not accept, you are free to sculpt a life of your choosing. You may raise yourself up; you may cast yourself down. You are the author of your destiny. Uniqueness and Individuality – You are born unique, one of a kind. So too each seed that falls from a tree is unique. While some seeds flourish, others spoil. Actualizing your potential requires that you transform potential into the actuality of your being an individual who lives the life you have chosen for yourself. Personal Autonomy – Although society pressures you to conform and direct your listening to others for direction, taking responsibility for your very own life requires that you rely first upon yourself for direction and guidance. Psychological Agency – You are the difference between having the life you choose or having only reasons why you are unfulfilled. You craft your life with the tools of choice, will, action, and personal responsibility. Choice – Choice creates destiny. Choice is the blade of decision which parses what could have been from what you choose to make actual. The relinquishment of unchosen potential accompanies every decision. Will – Willing is the application of your energy and capabilities on behalf of the choices you have made. Action – Without action the life you have chosen remains only a dream. Personal responsibility – With the exercise choice, will, and action, there results the awesome responsibility to yourself and others for the consequences of the exercise of your personal freedom. Isolation – Although nestled within a web of external relationship, viewed from the existential perspective being human is experienced from within the context of isolated subjectivity. Death – Rather than dwell in fear of the shadow of death, death can be an ally encouraging you to live fully the life you have imagined for yourself. Of course, authenticity also is a theme of existential therapy. It is such an important consideration of all the work that I do that I have given the topic its own discussion page which you can link to >>> existential therapy with an authenticity focus, if interested. If the above existential concerns resonate with you, you may want to explore these other existential therapy discussions on my Portland counseling website: Portland existential counseling with a focus on personal authenticity and Portland focusing and focusing training. 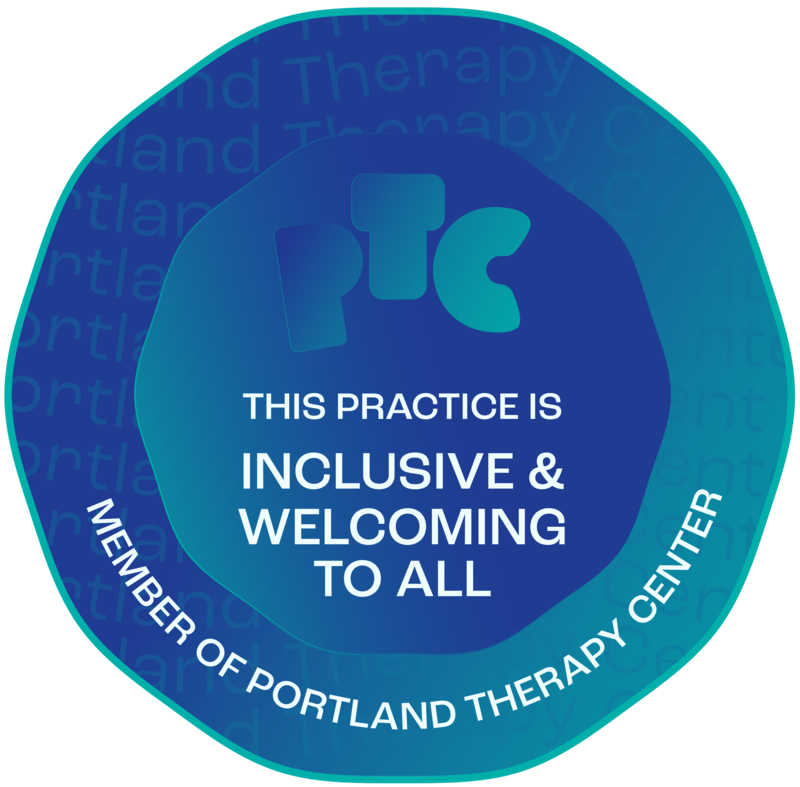 If you are considering existential therapy with me, feel welcome to meet with me in my NE Portland office for a 50-minute complimentary consultation. To arrange a consultation online now, just use the Consultation button. below.